Kent’s Rental Allowance Matrix for Sydney (as of May 2017) is now available for download. This rental market information has been specifically designed to assist human resources professionals make sound, informed decisions when relocating assignees. This up-to-date and accurate information will be an invaluable resource in making general relocation decisions, as well as in deciding on employee house rent allowance figures. Our rental property data covers a wide range of information, including rental property price breakdowns (average, median rent for one, two, three and four bedroom apartments), parkland percentages in individual suburbs, population demographics and rental property vacancy rates. The May 2017 rental property data shows that inner city Sydney’s predominant age group is 25-34 years and parkland covers 20% of the 3 square kilometres that make up inner city Sydney. As of May 2017, the vacancy rate in Sydney for rental properties was at 1.7%. In addition to information on inner city Sydney, the Sydney Rental Allowance Matrix also covers all the key areas of Sydney and surrounding suburbs, including Balmain, Castle Hill, Cremorne, Lindfield and Bondi. This allows you to compare rental prices, vacancies and demographics and place your assignees in the perfect suburb for their lifestyle, and stay on budget. So, you can compare the age demographic of Balmain (35-44) with Lindfield (0-14) and make a decision based on the age of your assignee. The cost breakdowns also allow you to make important cost decisions, and compare the median monthly rent costs of a one-bedroom property in Balmain ($605), for instance, with a similar property in Lindfield ($690). The efforts we have gone to in compiling and providing this rental market information help us offer an industry leading corporate relocation service. We achieve this aim for all of clients by providing a service on which you can completely rely, so that you can devote your attention to ensuring a smooth, stress-free relocation for your assignees. 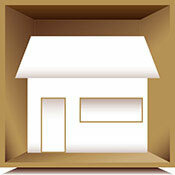 All of our relocations are backed by our 5-star Quality Service Guarantee.